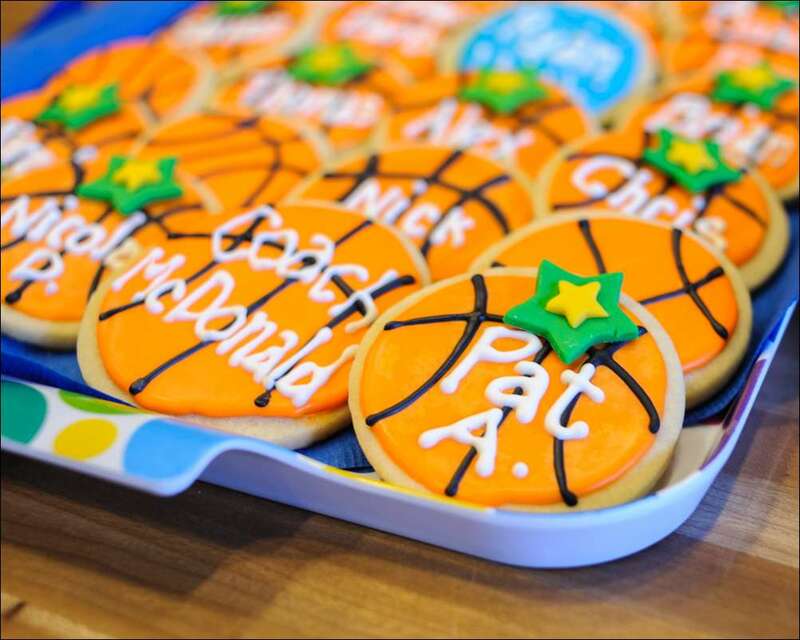 My son’s basketball season wrapped up last week, so we threw a party to celebrate! 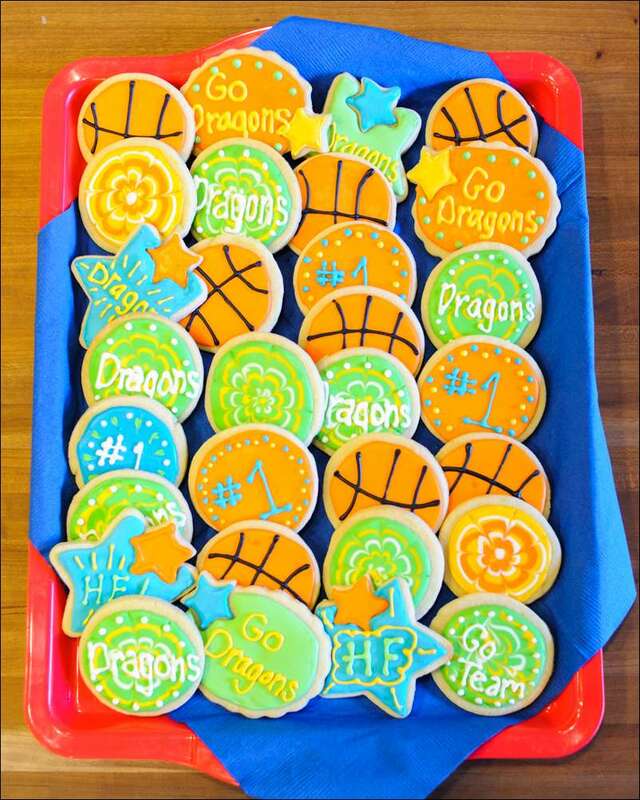 I made basketball/school-themed sugar cookies, decorated with royal icing and homemade fondant. 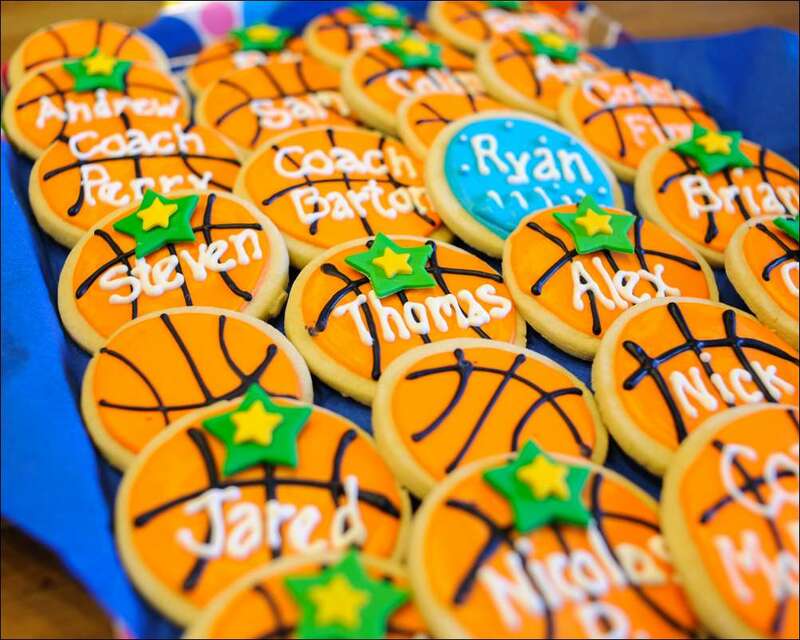 The cookies were decorated with school colors and frosted like basketballs, some of which were personalized with the boys’ names (one boy was a swimmer, so he got his own special blue cookie :0). The party was a terrific way to reconnect with parents we’d seen at the games and to thank our fantastic coaches. 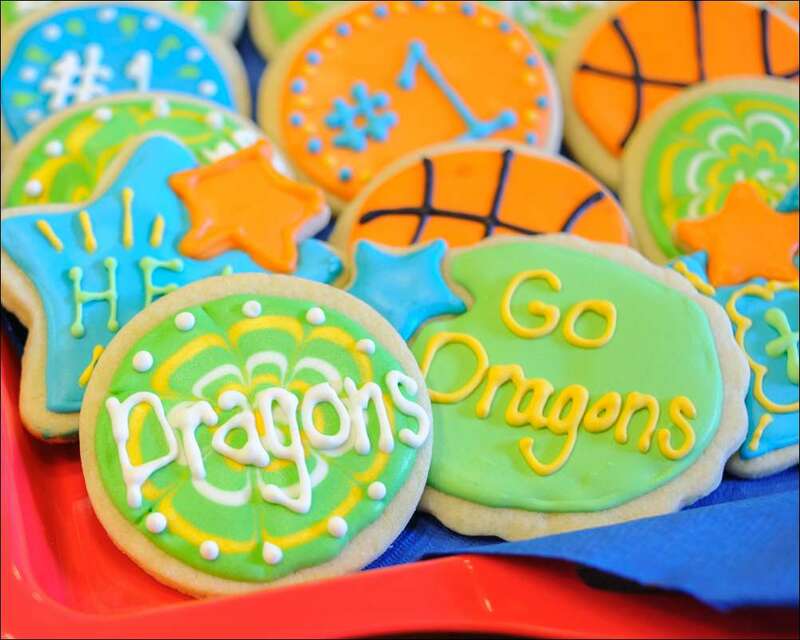 You had a great season boys…Go Dragons!